I would like to invest in North Korea but I'm an American so its illegal. North Korea is where China was in 1980, where Myanmar was in 2010. Very exciting and dramatic changes are taking place but I am a citizen of the land of the free and we are not allowed to invest in North Korea. 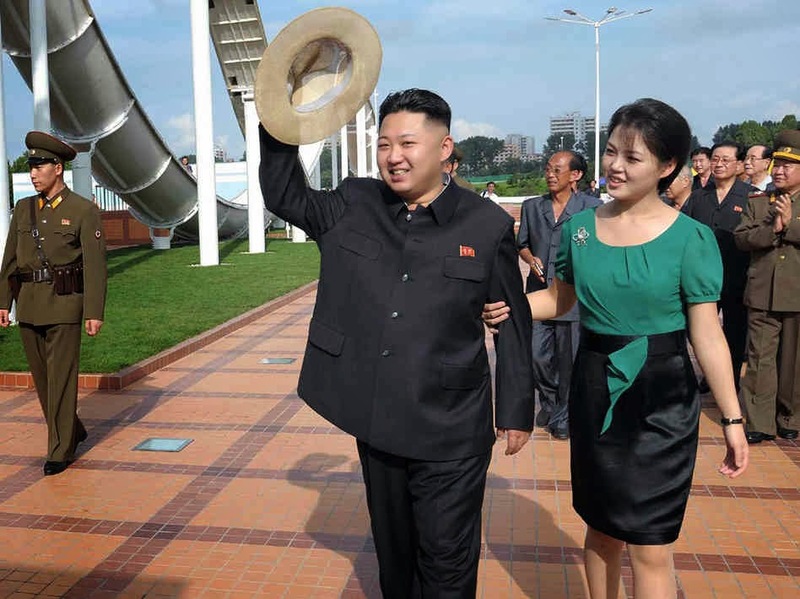 North Korea has a great gene pool if you look at it historically over the past thousand years. 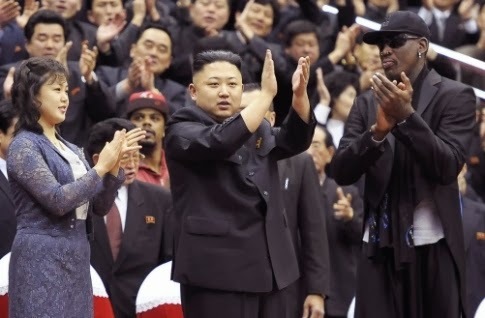 Theres something about the Koreans, they are not dumb, unsuccessful people. The Russians are pouring in, the Chinese are pouring in. Its changing very quickly. Most central banks follow the market, and the market dictates what has to happen. In the US, interest rates have already started going up a bit, and they will continue to go higher, in my view. The US central bank will be forced to cut back its bond purchases and probably they will, and that will lead to higher interest rates. At some point, we are going to have interest rates that will affect markets though that may not happen for a while. But when it happens, central banks will panic, the US central bank will panic and then they all will again start buying bonds in order to calm down the markets. 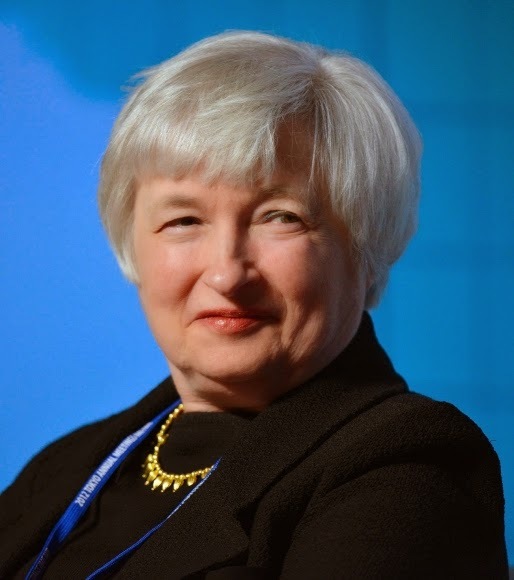 Then again, interest rates will come down for while, and there will be bubble in the markets. Vast amount of money has been pumped into Japan, America, Europe, and the UK. Whether the recovery will last or not I don't know. But these are all artificial money which has been pumped in to rest of the world. I don't have a TV. I don't pay attention to other people. I have found in my life, if I get investment advice from someone else I nearly always lose money. I'm not quite sure why so I have learnt not to try. 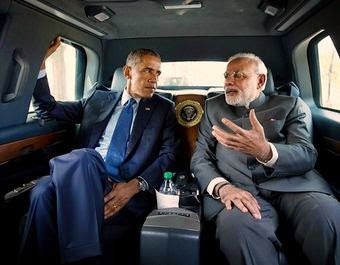 So far, Modi [India Prime Minister] does not seem to have produced results, which we all expected him to do. He said a lot of wonderful things, but so far nothing has happened, other than a lot of public relations. People are waiting to see when Modi is going to change its economic policy, or start opening up of India to outside world. The expectations are very high because Modi at some point of time has to come up with some concrete proper actions. 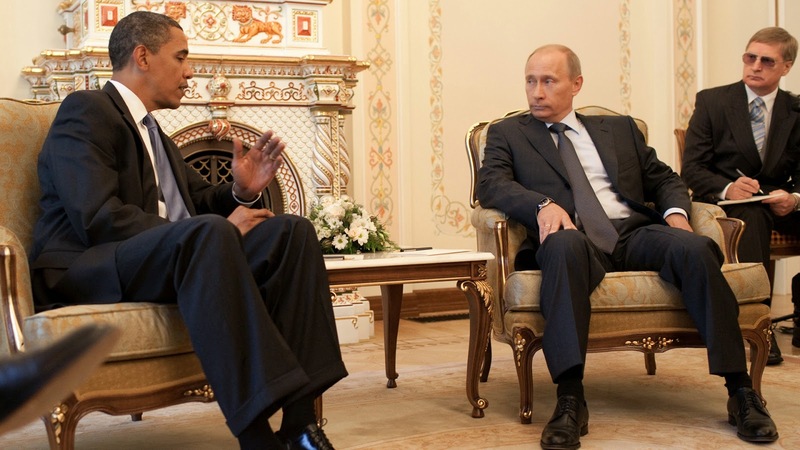 I don’t see that it has hurt Russia [sanctions on Russia]. Maybe there’s something I don’t know, but I don’t see that this has hurt Russia in any way at this point. Emerging markets will get impacted from the US Federal Reserve interest rate hike. 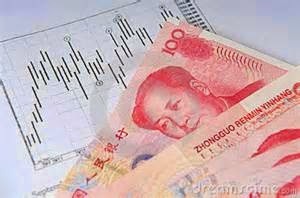 Last year, it scared lot of people, including the best of the emerging markets, when the tapering of quantitative easing was announced. When the market goes down by a fair amount, central banks will panic, and they will say "Don't worry, we will help you". Yes, it's going to affect everybody, especially the emerging markets. "The central banks have been printing staggering amounts of artificial liquidity. It’s going to come to an end. I don’t know if it’s coming to an end now. When it does end, we’re all going to pay a terrible price." "So central banks will start up again printing money. Markets will have a big rally. That will probably be the last time around and might end in a bubble." A lot of people are being ruined. Any pension plans, endowments, etc., are suffering because they invest for the futures and are finding that their situation has gotten worse. We are doing this at the expense of people who save and invest. We are doing it to bail out the people who borrowed huge amounts of money. The consequences are already being felt. The US dollar is partially gaining strength because there is turmoil in the markets; people are worried about the Middle East, Russia, and when people are worried, they quickly resort to the US dollar to make payments. The US dollar is not safe haven anymore, but people don't understand that. As long as there is turmoil in the world, the dollar will go higher and higher, and this will hurt many countries and economies. And my plan is when the dollar goes higher and higher, I will sell the US dollar. We are going to have a bit more correction in crude oil prices and some commodities. I hope to buy some commodities when this correction goes far enough. The world is running out of oil in most countries, and the bull market in crude oil is still not over in my view. When crude oil goes down further, I would rather buy the commodity than sell. I am buying stock index in India, stock index in Russia. I am long on fertilisers and agriculture commodities as I expect prices to go up. I am overweight on the US dollar. I am overweight on Japanese blue chips as pension funds there are adjusting their portfolios. I am overweight on China as the government is emphasising its economic plans for the next 20-years. When I went to Africa the first time, everybody was a socialist or a communist. The second time, nobody wanted to be a communist, nobody wanted to be a socialist. If they did, they wanted to be a rich socialist. It started because I had these kids. I've never had kids, so I started thinking of things that I want to make sure that I taught them, so I'd write them down. So next thing you knew, I had a magazine article or two, the next thing you know it became a book of things. I have had plenty of mistakes that I've made, I have made a few triumphs, and I wanted to teach them in a book. I like to teach them and I do teach them, but you know if you have a book, its something they can always pickup one day and look at and say "what did my father teach me about that", even whether I'm alive or not at that time. So its something they can always have it right there. The only way I know to make sure thats still around always and easily accessible is in a book. 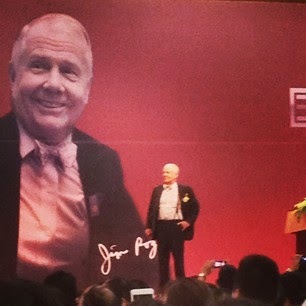 "This is going to end and its going to end badly" - Jim Rogers talks about various topics including US Bond Market, Central Banks money printing, Stock Markets, China Slowdown, Agriculture in Mongolia and more. I don't invest in technology. I periodically do on the short side because I don't understand it and I really couldn't tell if the guys are doing a great things or not. I certainly see some stock prices, I certainly see some some companies. Amazon has built a gigantic company, they don't make any money but that's by design. Is that the right way to do it ? I don't know, you could ask me in 30 years. I don't buy those stocks so I try to stay away. There are no UK investment banks anymore, merchant banks. They are all gone, they disappeared, great names once upon a time, but they all disapeared. They are either home by the Germans or by the Americans or somebody else. The city of London has already lost. The city of London is not British anymore, there are plenty of Brits down there. The UK is a huge debtor nation now. The debt is getting worse and worse, the North Sea oil is drying up. The UK is finished. I don't particularly like saying it because I've had a lot of great successes there but unfortunately its finished. I'v been around long enough to and I've read enough to know history is a fabulous teacher about most sectors of the world of anything. So I know that this has all happened before, I see how it works. I see how it has worked, and its going to work that way in the future. I assure you human beings are still the same, we still get panicked when things go bad, we still get hysterical when things are going right, its all happened before. I know three or four Americans who are basically being forced to give up citizenship. If you make simple mistakes it could cost you—it could be a criminal offense, or at least a very financially onerous one. My filing requirements and possible penalties are very much different [to Americans living in USA]. It is treating Americans who live abroad differently—you would think it is some kind of discrimination. Historically we have had long periods when the Financial types were in type, followed by long periods where people who produced real goods were in charge. Then the financial types come back. When I went to Wall street and when I was in Oxford in the 1960's. It was a backwater, New York Stock Exchange who cares, big day in NYSE was 3 million shares. Now that's not even a trade, we do that 3 million shares before breakfast. It really was a backwater and nobody wanted to go to Wall Street or the city of London. When I was in Oxford my professors used to say whats wrong with you, nobody cares about the city of London, its not significant even in the UK economy, why are you so interested in London. Now of course every kid in Oxford wants to start a hedge-fund in their dorm room or whatever. So its all changed dramatically, 50's and 60's and 70's it was a waste land and along came the long bull market and everyone wanted to go into Wall Street. Now more and more of them are now trying to go into technology because many people are starting to understand the financial community has got problems and my view its a terrible place to go unless you really love it. The Russians are now pushing more towards Asia, partly out of necessity, and so you will certainly see [more economic trade between Russia and Asia]. I know that Moscow was putting huge amounts of money to the Far East, I know that you’ve built a railroad all the way into North Korea. I know Russia is putting a push towards Asia, and obviously, if there are opportunities for Asians, they’re going to take advantage of it. It is one of the best opportunities in the world right now because it is on the floor. China opened up 35 years ago while North Korea opened 35 days ago so obviously there are huge opportunities there. What China has been doing with gold is terrific. Ten years ago it was hard to buy gold in China and 30 years ago, you couldn't buy gold in China. 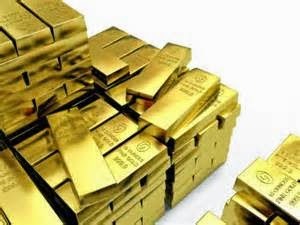 I own gold and I hope everybody buys gold and it goes much higher. It will, eventually. I don't know whether China's central bank should buy gold at this moment. I haven't sold any gold. If it goes down a lot, I will be buying more. China started yuan appreciation in 2005 but now they are doing it at a much slower pace. This is not 1914, this is 2014. China is the most successful country in the world. With 30-35 years, they have huge foreign currency reserves. I don't know what they are worried about. They say they will allow full convertibility and yes, they do something every month and quarter but I will do it today. When they were born, I got each of them six piggy banks. They have piggy banks for US dollars, Singapore dollars, etc. 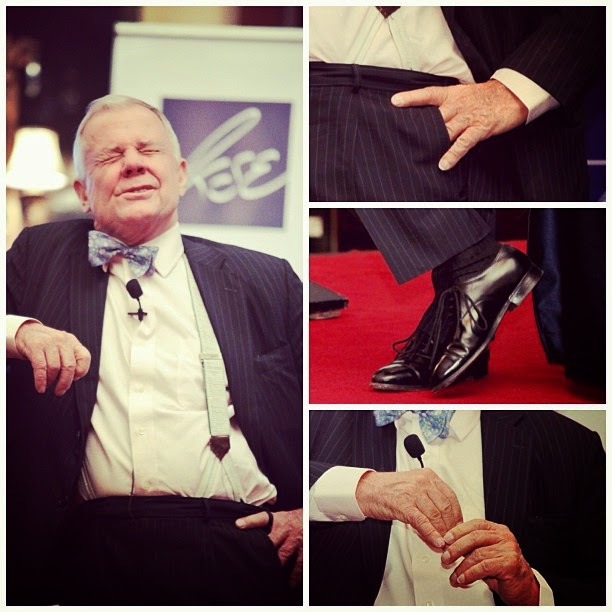 Jim Rogers wants his children to learn to value money and how money is earned. He says "The children get paid when they do extra chores". He wants his kids to learn from a young age that money “doesn’t fall out of the sky” and “you have to work hard and save it”. If I can instill in them the necessity to save and the habit of saving, then I will have done the best I can in this stage of their lives. I came to Shanghai nine years ago with the idea that I will live somewhere in China, but it was too polluted. Now I am starting to think about moving to Shanghai again. It is less polluted than the other cities. A lot of money is being spent to clean up China and somebody is going to make a lot of money cleaning up China. "Brazil wants to compete with the IMF, the World Bank and the US dollar. Brazil, China and Russia could easily put something together to compete with the US dollar. The US dollar is a terribly flawed currency. I’m an American. I hate to say that. But the US has serious problems, the world has serious problems. We need something else." According to Mr Rogers, India should probably not be included in the new world bank while he thinks Russia should be included due to its huge international currency reserves. 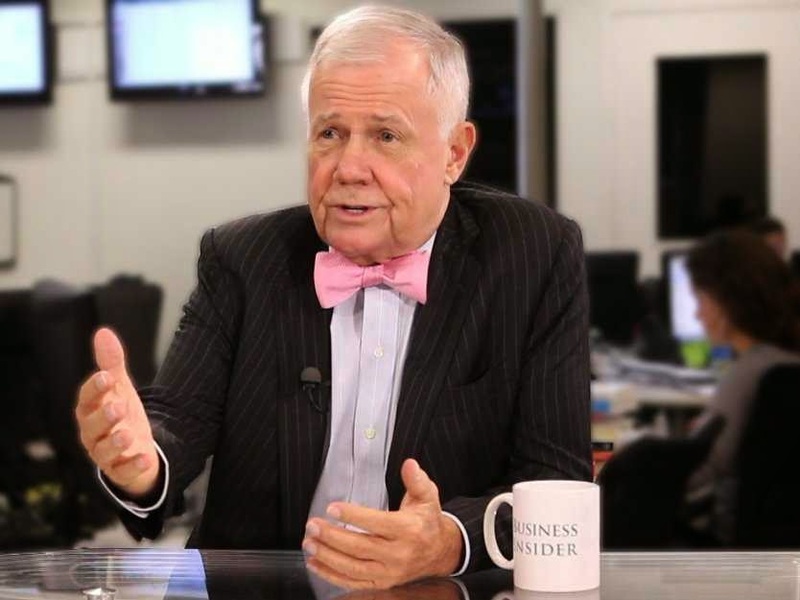 "To put together a competing world reserve currency and develop an alternative banking system, the BRICs might consider throwing India out of the equation"
From a financial perspective Jim Rogers says Russia is stronger compared to India and Brazil due to their national debts. "India and Brazil have big (national) debts. Russia is not a big debtor and has big international reserves"
Agriculture has been in a terrible business for 30 years. Its been so bad the world has now consumed more than its produced for the last decade. When you consume more than you produce its going to come from an inventory. We've built a big inventory over the 30 years but now the inventory's world wide are at historic lows. So we're running out of food. Worse than that, we are running out of farmers. The average age of farmers in America is 58, Japan is 66, in Canada its the oldest in recorded history. In Australia its 58. The highest rate of suicide in the UK is in Agriculture. Its a terrible business for many reasons. At the same time we dont have young people becoming farmers. More people in America study public relations than of Agriculture. We got old people dying and getting out of the business, no young people coming in. Somebody has got to go into the fields. Even when the fields are automated, somebody has got to do it. And if everybody is dead and everybody is studying public relations, where is the food coming from. I remember between 1982 and the end of the century, in the stocks bull market, we saw several corrections. In 1987 stocks were down 40-80 percent worldwide and it took a long time for it to get above pre-correction levels but the bull market was not over. We are seeing the same normal correction happening in commodities now. Commodities will end in a bubble by the end of the bull market, whenever that is – whether that is in two years’ time or five years’ time. Bull markets normally end in a bubble and this one may be no different. I doubt the time frame is two years; it will probably last longer than that. But no, it is definitely not over, not with all this money printing going on. There is still staggering amounts money floating around, with huge artificial oceans of excess liquidity – this is the first time in recorded history that all the world’s major central banks simultaneously printed large amounts of money, from the EU, to the UK and the US. This has never happened before, so this is not over yet. Its always astonishing to me that the world might come to and end over a few rocks over the ocean. But having said that if you go back to where most of the wars have been started, its always been absurd. This guy does that, that guy does that, another guy does that, first world war is the perfect example. Then they say how did we get in this, how do we get out of this. Next thing you knew is hundreds of thousands of people were dead. Vast amounts of capital is squandered. Its a gigantic waste. Its all because of a few foolish things that got everyone going. In all the wars if you look back, is politicians do foolish things and next thing you know is a bunch of 20 year old's shooting at each other. This is the asian century whether we like it or not, there will be plenty of setbacks just like in the America, just like in the UK. I want to prepare my children for the 21st century. I want to give them any legs up I can. Its not going to make them successful because they know Asia or know Mandarin, but it will give them a few advantages. The Asian nations come out in top on all national educations in International tests. United States is not even in the top 20, so I wanted them [my daughters] to have demanding, rigorous advanced education. I got to tell you its unbelievable how demanding, rigorous, advanced education. Its much more than I expected, my daughters have more homework in 2 or 3 years, than I have had in 12 in the US. I see what they are doing. I can see why the Asians come out of top in tests. She is certainly a learning work ethic if nothing else. Whenever there are bombs going off, people become worried. People tend to get more aggravated or agitated when things slow down. China is slowing down at the moment. But will this mean the end of prosperity in China? I doubt it. The market has 3%, 13%, 23% correction all the time. So it's good that the Chinese currency is starting to fluctuate. That's how the markets work. If it's only going up, it's artificial. It’s a been a long-term adage in the investment world that you buy when there’s a disaster, because if you buy when everybody else is panicking and dumping, you’re probably going to make a lot of money in the end – unless the world comes to an end. I don’t suspect that Russia is going to come to an end, Russia has assets, Russia has lots of foreign currency in reserves as well, so when I saw Russia collapsing I thought I should buy, and I did buy. I’ve been becoming more optimistic about Russia over the past year or two anyway, because you do have big reserves and there are positive changes taking place in Russia as far as I’m concerned, so I hope you buy low and sell high – that’s what I’m trying to do. China will see more social unrest going forward, but I don't see the Chinese government failing. In fact, we are going to see more social unrest throughout the world, because we are in this artificial situation where a lot of money is being printed, but many people are not participating in the recovery. We are going to see more turmoil in the next decade. There is always geopolitics risk. We have had wars since the beginning of time, and we will have more. Politicians have always made foolish mistakes throughout history. They will make mistakes again, and we will all pay for it. Unfortunately if you look back at history, all wars started with small incidents. I would expect we'd see bigger conflicts in the next ten years. 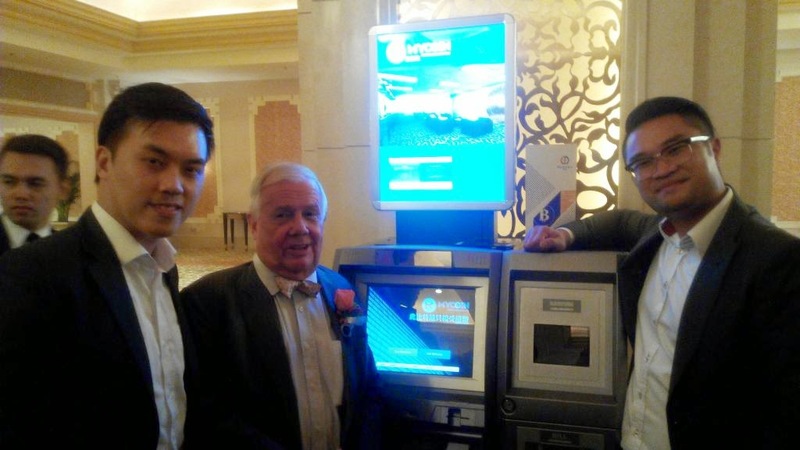 Would Jim Rogers buy bitcoin ? If I were smart, I would have bought it [Bitcoin] in the early days when people first told me about it. I still don't know enough about it to invest in it. There have always been plenty of great investments around the world. That's part of it. The other part is that it seemed to be complicated (to me). Of course, I may have missed it. If somewhere along the line, they are down and I learned enough about it, I might invest. What worries me the most is that for five or six years, all the major central banks have been printing huge amounts of money. It's the first time in recorded history that we have the Japanese, British, European and Americans all printing money at the same time. So we have this artificial ocean of liquidity, which is making markets do well, but it's not doing much for the economy worldwide. When it ends, we will all pay a terrible price. Just be very careful. They are desperate and getting more desperate. They meaning governments all over the world because they are out of money. I will have to say that Washington seems to be making one mistake after another and I don’t like saying it, since I’m an American citizen, but, you know, America is driving China and Russia together – America is driving Russia more and more to Asia… That cannot be good for America but they still keep making mistakes in Washington. I do know that the world has serious currency needs and serious currency problems. The U.S. dollar has dominated the world for the past 70 to 80 years. Somebody is going to stop using the dollar eventually. We need something to compete with the U.S. dollar, and something to replace it eventually. Whether it's the bitcoins, the RMB or seashells, I have no idea. The US has been the world’s reserve currency, has had the world’s medium of exchange and so far we’ve been able to do a lot of things because we can just print more US dollars. We have a huge balance of trade deficit; we have huge government deficits, because we can print more money. If there comes a time that we cannot print money, when the world will not just take US dollars because we say “here they are!” – then that cripples America in many-many ways. The Pentagon, the Defense Department of the US has already said that the deficit in the US is a major potential weakness from the military point of view. Just recently, the space people said “every country in the world has eventually collapsed” and the way America is going, we might collapse too. This is not me, this is the Defense Department of America, and this is the Space Agency of America saying these things. If you read history, it’s correct. When people do not have the money that they used to have – they’re limited in many ways. You cannot have as many soldiers, you cannot have as many airplanes, you cannot send ships all over the world, because somebody has to pay for it, and if you don’t have the money to pay for it anymore, you’re in trouble. So more and more people would say “maybe I shouldn’t use the US dollar, maybe I shouldn’t have my money in US dollars.” At the same time, as you know, Russia and China are now going to trade with each other in their own currencies instead of the US dollar. More and more people are doing the same thing, they’re starting to trade in other currencies besides US dollar. This is just a continuing long-term move away from the US dollar. And, I am afraid, that US is pushing people away from the US dollar with our actions. I don’t know what or when or why, but China is the next great country in the world. China will be the next great country in the world whether you have a bad year or two, a quarter, it doesn't matter. I’m talking about a century, not a quarter, or a year. Having setbacks is normal, things grow like this. There are always problems along the way, and China will certainly have problems, everybody has problems. My older daughter has now won the nationwide Mandarin-speaking contest two years in a row. Her little sister is even better. I am spending a lot of time, money and energy to be sure my kids do it. 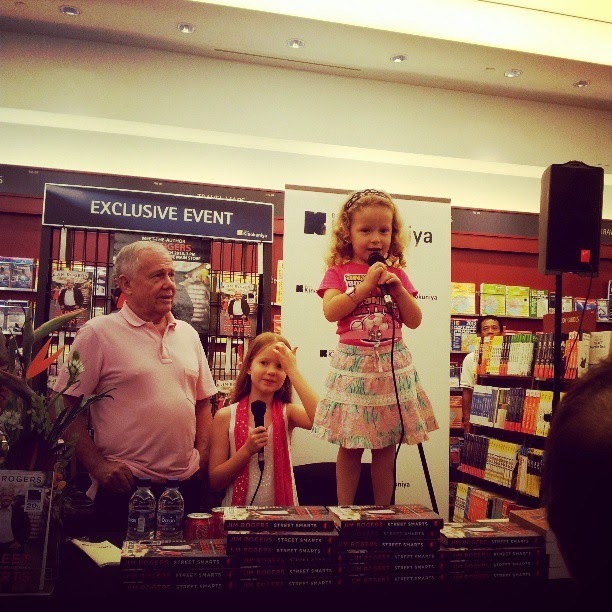 Jim Rogers pictured with his daughters at a book signing event. It's a basic fact of life that many things "everybody knows" turn out to be wrong. Acknowledge the complexity of the world and resist the impression that you easily understand it. People are too quick to accept conventional wisdom, because it sounds basically true and it tends to be reinforced by both their peers and opinion leaders, many of whom have never looked at whether the facts support the received wisdom. For the first time in recorded history we have all major banks and central governments around the world printing huge amounts of money. The debt is going higher and higher. The money printing is going higher and higher. There is no sound currency anymore. There's no paper money in 2014 and 2015, that's going to be worth much of anything. We've had 50 or 60 years of success in America. You've got to pay the price someday whether you like it or not. The longer you delay the day of reckoning, the worse the day of reckoning is going to be. China is vastly different from Dubai, vastly. Dubai was building its plan, its economic plan was to build an economy based on real estate speculation. It didn't have anything else. It didn't have oil, natural resources, it had a small population etc. and there was gigantic real estate speculation in construction. China has huge amounts of stuff. It has a growing population. It has vast natural resources, not enough, but it’s got some. And then all those natural resources in Siberia which they can tap and they've got huge financial reserves. Dubai does not. Dubai has a rich big brother, but that’s all Dubai has and China has it all - resources, cheap labor, discipline, educated labor and vast markets. As far as the lower growth rates, I don’t pay attention to government growth figures because they’re all phony. Nobody knows how much China is growing, including China. I don’t pay attention to all of these figures. They’re not important to me. They’re irrelevant. China is certainly doing better than most countries and it will continue to do so. It will have setbacks. There’s nothing that says China should not have a recession. But China has a lot of money saved for a rainy day and when it rains they’re going to spend. America doesn’t have any money saved for a rainy day. And when it rains we’re going to try to borrow it or print it, neither of which is good for America or for the world.